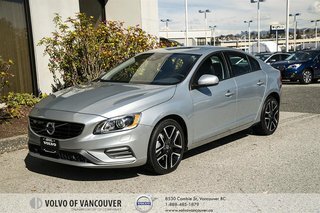 Our great looking, Accident-Free 2018 Volvo S60 Dynamic AWD Sedan is presented in Electric Silver. Powered by a TurboCharged 2.0 Litre 4 Cylinder that offers 240hp while connected to a responsive 8 Speed Automatic transmission for easy passing maneuvers. Our luxury All Wheel Drive machine provides a comfortable and composed driving experience along with near 6.5L/100km on the highway. 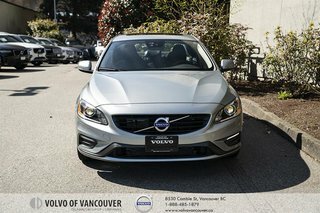 Prepare to fall in love with the modern flair of our S60 Dynamic! It looks terrific with xenon headlights and a power sunroof accenting its sculpted physique. 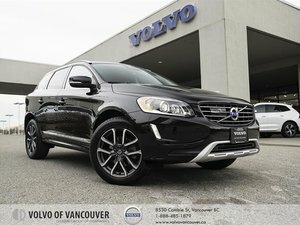 The masterfully crafted S60 cabin makes your life easier with state-of-the-art technology featuring a display screen, full-colour navigation, Sensus smartphone app integration, Wi-Fi capability, Bluetooth phone/audio connectivity, voice commands and a concert-quality sound system with available satellite radio, and auxiliary/USB interfaces. Comfort reigns supreme with power adjustable leather front seats, driver memory settings, and more! 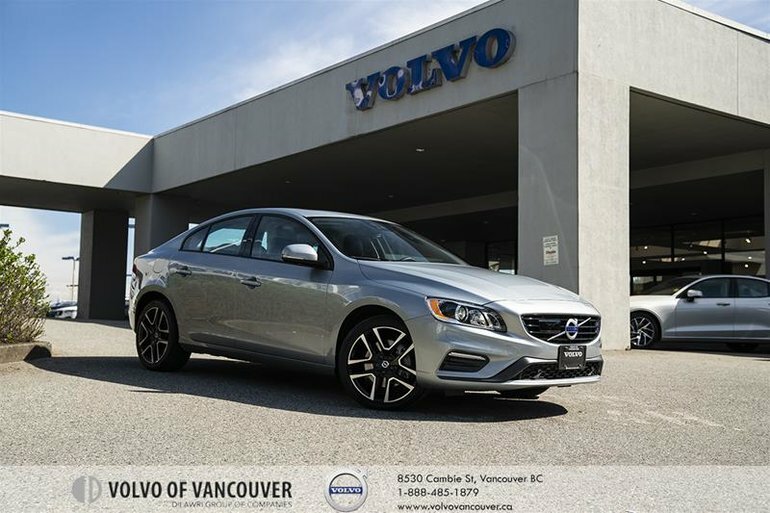 In typical Volvo fashion, our S60 has received excellent safety scores thanks in part to its smart engineering and multitude of safety innovations including a backup camer, stability/traction control, airbags, low-speed front collision warning, collision mitigation, and even On-Call emergency assistance. Delivering outstanding comfort, ample space, and a brilliant drive, our T5 Dynamic is the intelligent choice. Print this page and call us Now... We Know You Will Enjoy Your Test Drive Towards Ownership! Our advertised price includes a $495 Documentation Fee. No additional fees or surprises when you are ready to purchase. We offer financing options for most of our quality Pre-Owned Vehicles.